Hong Kong’s Chengming Magazine reported in its September edition that the Chinese regime’s former vice chair, Zeng Qinghong, was found to have fraudulently declared his assets four times. The magazine also reported that the Zeng family assets reach over 20 billion yuan ($3.2 billion) in domestic and overseas properties, according to incomplete statistics from the Chinese regime’s relevant state department. Some of Zeng’s business buildings in Beijing, Shanghai, and Hangzhou cities are worth a market value of around US$1.2 billion; residency villas and apartments are worth US$840 million to US$1 billion; bonds and securities are worth US$1 to US$1.2 billion; and Zeng’s accounts in financial institutions have a balance of US$210 to US$242 million. His properties in Australia are worth US$2.5 to US$3.2 million; in addition Zeng owns other foreign bonds, securities, and savings of unknown value. Many overseas Chinese language media have reproduced the Chengming Magazine report, but Chinese authorities have not responded to it. Zeng’s family properties are widely spread in Hong Kong, Macau, Australia, New Zealand, and England, among other places. Early in 2007, the mainland Chinese financial magazine Caijing revealed that Zeng Qinghong’s son, Zeng Wei, with his son’s friend bought 91.6 percent of the shareholdings of China’s large state-owned energy and real estate company Shandong Luneng Group with only US$600 million (3.7 billion yuan). The company is valued at US$17.7 billion, with a net worth of US$12 billion. At the time, Zeng was China’s vice chair and a member of the CCP Politburo Standing Committee, the highest leadership council in China. Zeng Wei is notorious among the children of China’s political elites for showing off extreme wealth. He and his wife bought a 106 year-old house in Sydney, Australia for $32.4 million in 2008, which they then demolished and replaced with $4.5 million dollar modernist house. Following the purge in December 2014 of former security czar Zhou Yongkang, the Hong Kong media’s exposure of the Zeng Qinghong family assets may be a hint of Zeng possibly becoming the next “tiger”—high-ranking Chinese official—to be taken down in the ongoing “anti-corruption” campaign of CCP head Xi Jinping. 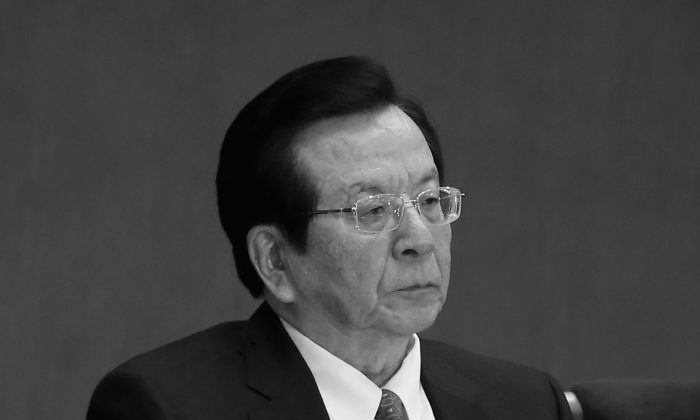 Zeng and Zhou are both close allies of former party leader Jiang Zemin. The majority of the sacked corrupt officials have been allies of Jiang’s faction. Another Hong Kong magazine, Frontline, reported in December that Zeng Qinghong’s brother, Zeng Qinghuai, who only has a high school degree, was promoted to be an official and commissioner in Hong Kong under the regime’s Ministry of Culture. The Zeng brothers have formed a broad network of corruption in China’s culture and literary circles, according to the Frontline report. Several anti-corruption attacks targeting high-end clubs and state-run Chinese Central Television (CCTV)—whereby, for example, officials bribed higher officials by prostituting CCTV female anchors—pointed toward Zeng Qinghong, the Frontline report also says. Translated and written in English by Lu Chen.